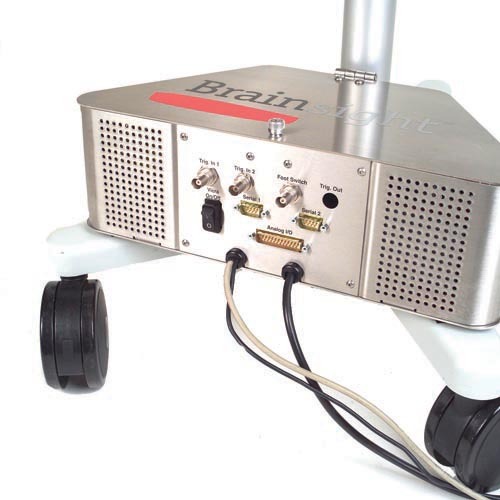 In addition to the simple and powerful software, our mobile computer trolley provides an excellent tool for your neuronavigation system. We start with an Apple iMac computer with 27″ retina display and 16 GiB of RAM and a fast graphics processor. We marry it to a low-footprint trolley that lets you move it anywhere to ensure easy viewing of the large screen while manipulating the coil. The neuronavigation system becomes the logical hub between many devices that are used in conjunction with the TMS device. 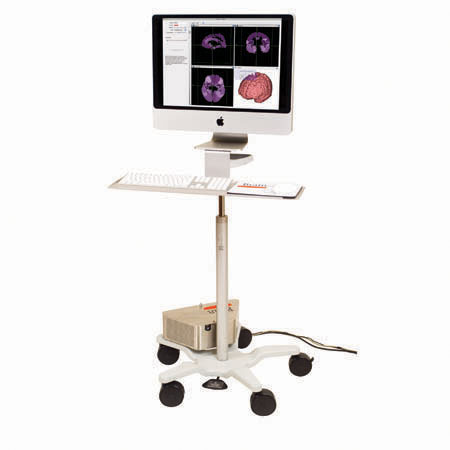 Our interface box connects the computer to the Northern Digital Vicra® position sensor, Rogue Research’s MEP pod as well as any supported TMS device. Long term utility is ensured with 2 serial and 2 USB ports to support new devices as they become available.